Gambiarra: British and Brazilian artists come together to turn junk into new stories that change lives. Little money? We do what we can. No materials? We improvise to make new out of old. Creativity prevails when resources are scarce. In Brazil they have a word for this spirit of improvisation and resourcefulness: ‘Gambiarra’. Gambiarra Lab is about, bringing people together to improvise, collaborate and tell stories in new ways. They combine technology with film, visual art, music, spoken word and more, using creativity to bring about social change by bringing unheard stories and experiences to public attention, raising awareness of social challenges and also by giving young artists and creative entrepreneurs skills training and a step up in the professional world. The results are inspiring. 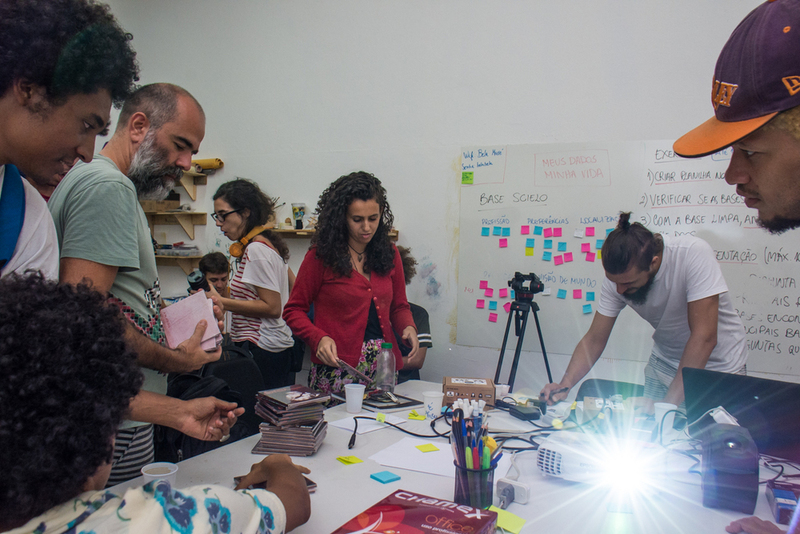 As part of the Gambiarra Lab, a group of experienced digital artists from the UK and Brazil are working with 14 talented artists from Rio to create immersive multimedia experiences. 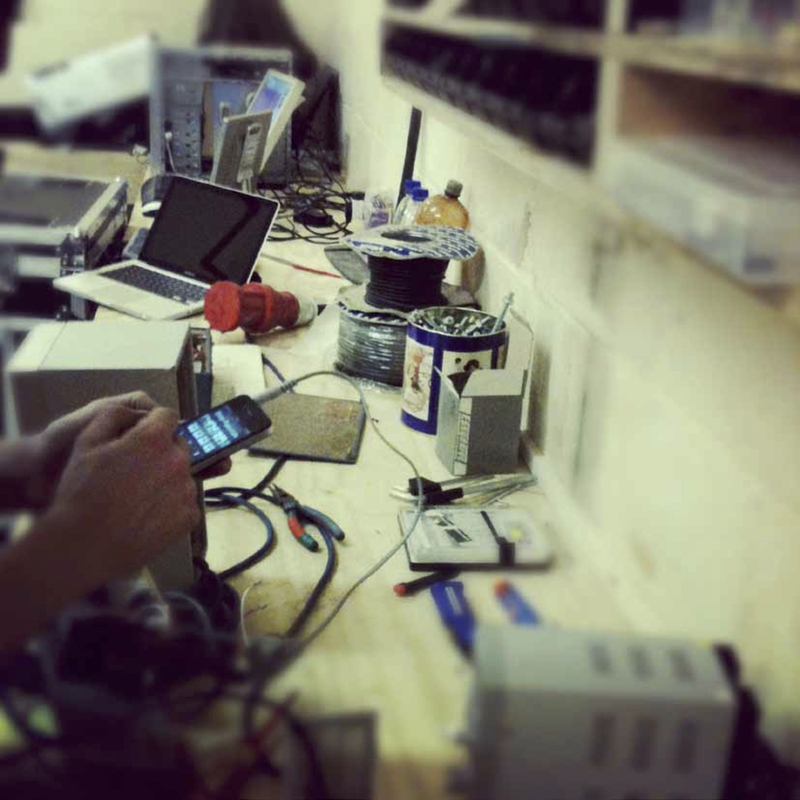 Their materials are nothing more than found objects and recycled tech, from bits of old computers to Raspberry Pi’s. 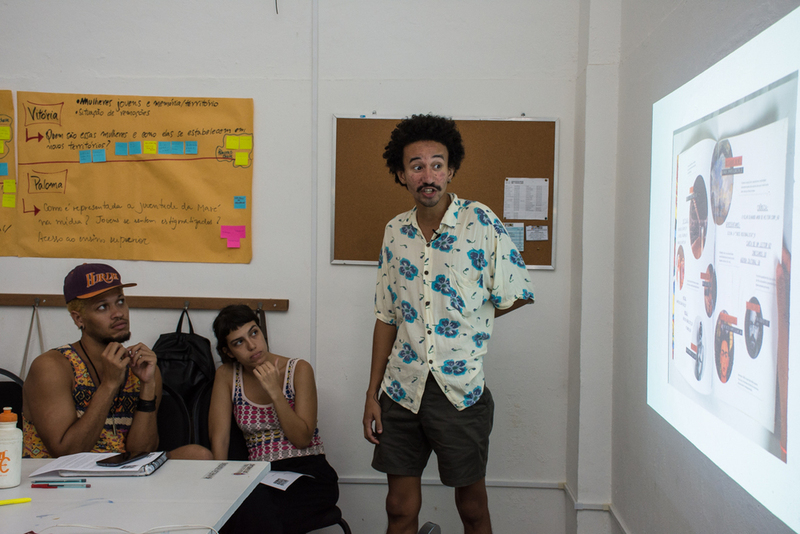 The artists will develop their ideas and hone their skills over the course of twelve workshops at Galpão Bela Maré in Rio, between April and May, culminating with a showcase and creative summit at venues in Maré and at Oi Futuro Flamengo cultural centre as part of Multiplicidade Festival, from the 16th to 18th May. Curator Marc Boothe, Creative Director of B3 Media, first had the idea for the Gambiarra Lab while working on the Creativelab programme: a new project that brings together academics, artists and creative practitioners from Brazil and the UK to initiate and collaborate on creative projects that directly address urgent social challenges. Over the last four-months, Boothe, has expanded the original idea of the Gambiarra Lab to form a collaboration with the support of local producers Silvia Leal, Geisa Lino and Clara Sacco and a network of Rio based mentors who include: SIRI (leading musician/ sound artist), Ricardo Palmieri (visual and digital artist) and Rafael Diniz (technologist). 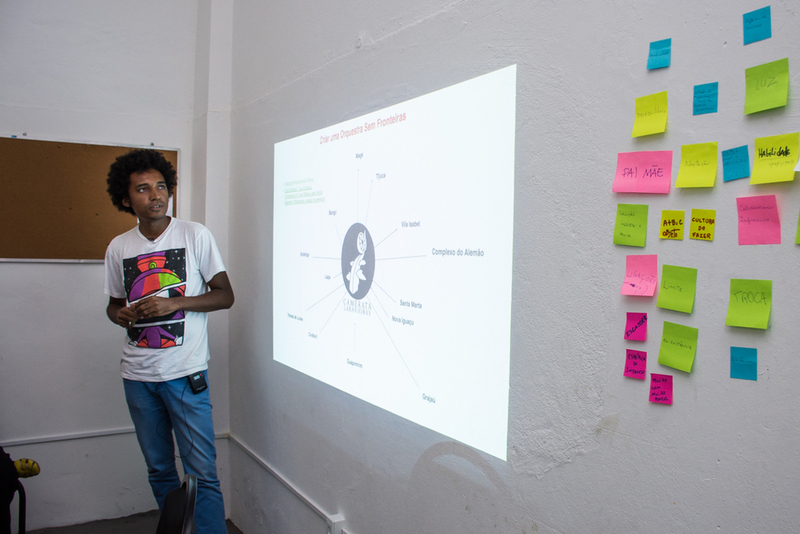 The project will be delivered through a network of partner art organisations and community spaces: Redes da Maré, Observatório de Favelas, Olabi Makerspace, Festival Multiplicidade, Spectaculu School of art and technology and B3 Media (UK). “Much of my work involves finding, nurturing and showcasing creative talent with fresh stories that have yet to be told. Gambiarra Lab is one of those rare projects where the passion, vision and energy of a gifted and talented team of collaborators forces you to raise your own game, on every level. This is what makes Brazil such a unique and amazing place. "Gambiarra is the perfect way to express the essence of the Creativelab. 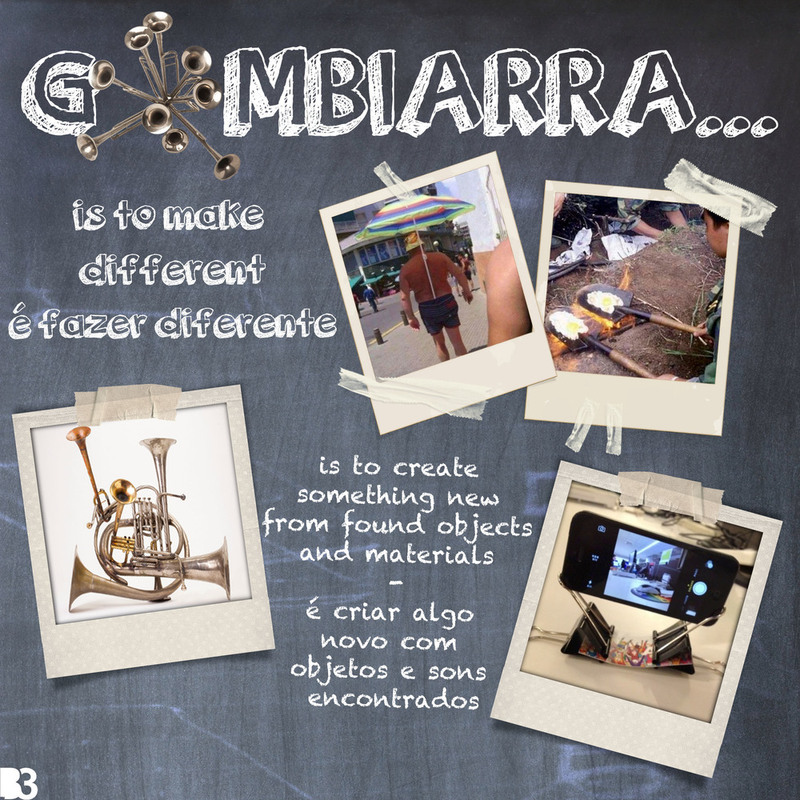 Combining art, technology, creativity and natural human resourcefulness to find innovative solutions that will 'fix' situations that we can see need urgent solutions, gambiarra is one of those words that we need in English to 'fix' whatever has become unfixed or undone. 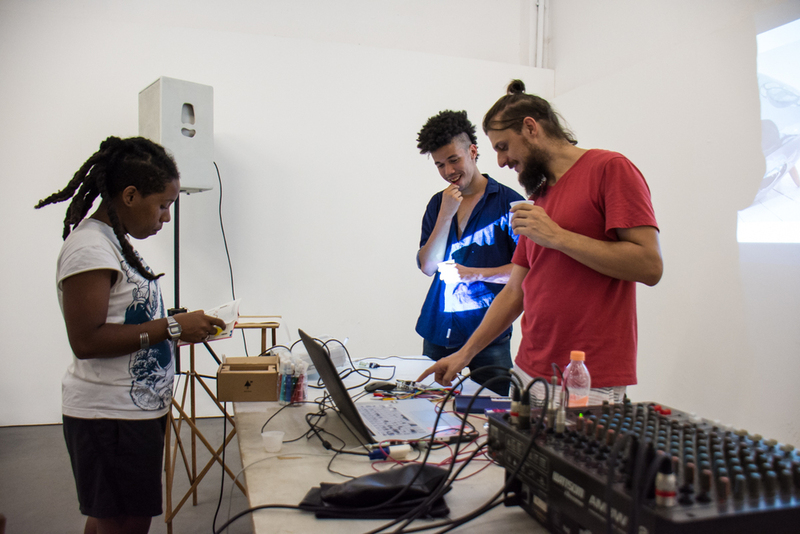 The group that set up this experiment has taken the best of what happened when 20 Brazilian and British academics and artists came together last year and extended their own experiences of working together across networks of young people in Rio and London. What better way to explore the ways in which art and culture can offer ways towards social transformation". 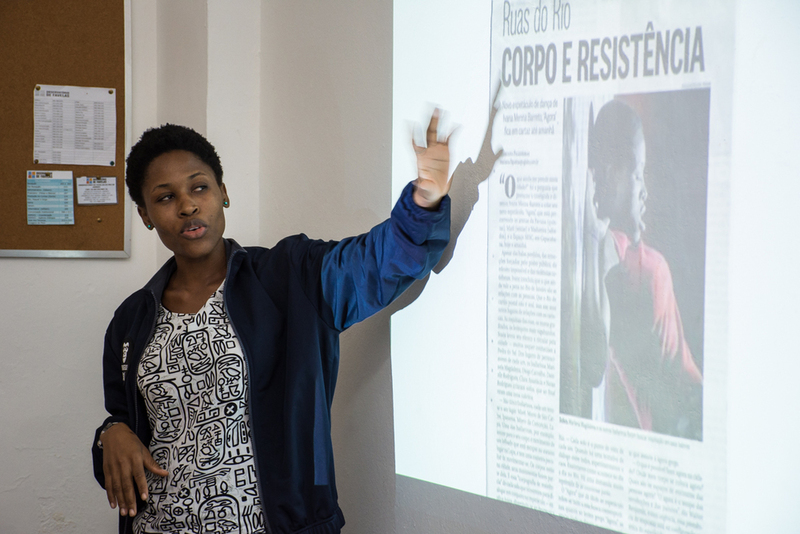 "The Gambiarra Lab, if I can even begin to explain it, puts us in touch with a concept that is very Brazilian, which is about addressing issues that are very real to us. Far from improvisation, Gambiarra is about recognising multiple possibilities of dealing with the many challenges we face in our everyday life. I believe that the Gambiarra Lab converses well with the concreteness of the favela, in a metaphoric and conceptual sense and to those who know it well, who understand the inventiveness, the potential of creating innovative, transient or permanent solutions to everyday peculiarities with Gambiarra. It is also a most striking feature for anyone who claims to the right of the city. The Gambiarra Lab emphasises this, and helps us to amplify the powerful aesthetic dimension of favela residents. This shift of direction which questions traditional stigmatised representations, and is central to the full exercise of citizenship in popular areas." “I believe that every creation goes through a moment of gambiarra. 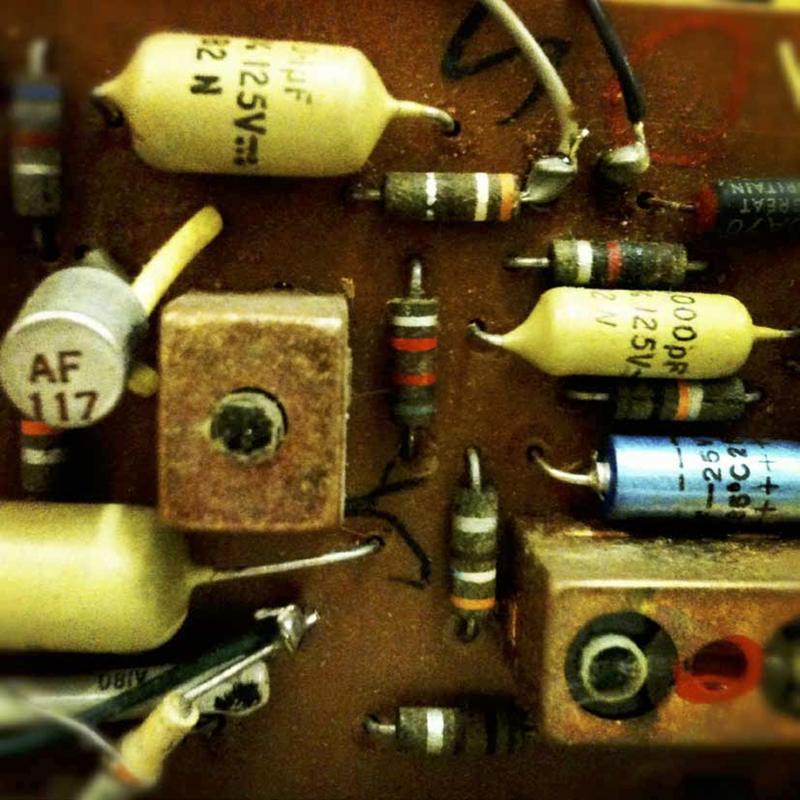 Perhaps every first prototype of all types of creative practices has been a gambiarra that worked out. “Over the years, I learnt that digital arts and new media labs are not just made of technological resources, but are about relationships and experiences of real people, who, from simple things, create opportunities to realize new projects and propose relevant changes to the world we build collectively. The 14 artists from Rio are Mauricio Maia (musician/composer), Wallace Lino (actor), Flora Mariah (dancer/choreographer), Arthures Garcia (designer/visual artist), Rodolfo Simões (Musician/DJ), Jonathan Nunes (multimedia artist), Marilena Magdalena (dancer/actress), Myllena Araujo (visual artist), Odayara Mello (visual artist), Thaina Farias (dancer/audiovisual artist), Plinio Piettro (audiovisual artist), Ana Hupe (visual artist), Baratcho (transmedia artist), Tiago Cosmo (musician). 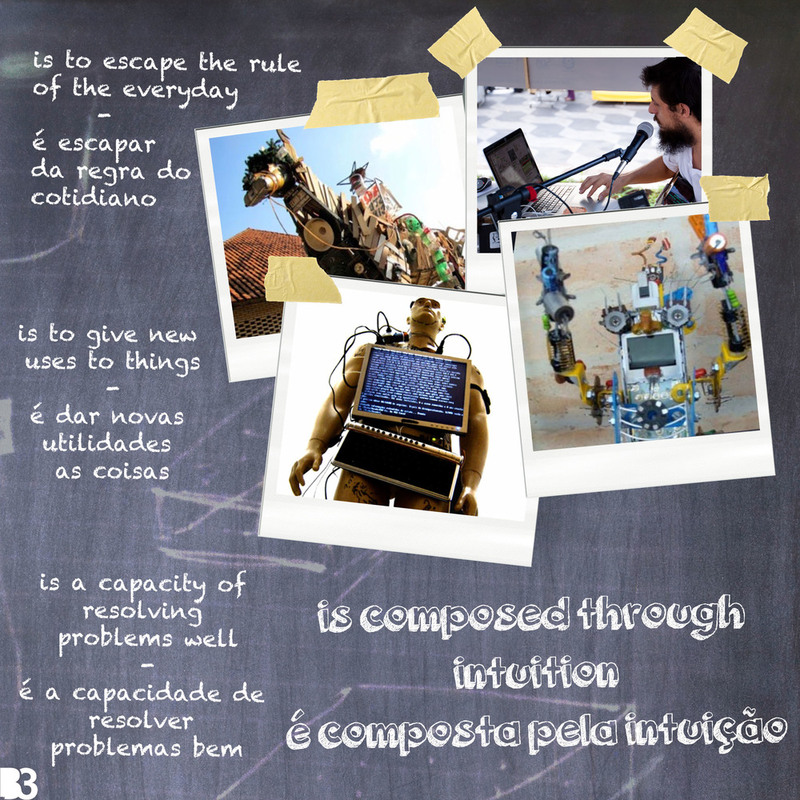 Creative:Lab, produced by People's Palace Projects and Multiplicidade in Rio, is funded through the Arts and Humanities Research Council and the Newton Fund, a five year programme that aims to strengthen research and innovation partnership between the UK and emerging knowledge economies. See the website www.gambiarralab.org for project updates and the latest developments with the project.